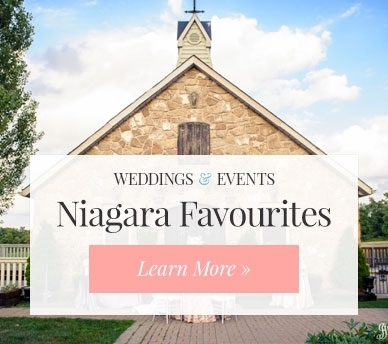 Established in 1996, The Watering Can Weddings is an authentic European-style florist offering stunning flowers for weddings and events, from two locations in the heart of Niagara's premier wine country – downtown St. Catharines and Vineland. Weddings are our passion! We would be delighted to help you celebrate one of the most important days of your life. The Watering Can's design team is known for our keen attention to detail and timeless, sophisticated designs. Our experienced and dedicated designers will craft your dreams into reality, ensuring your flowers are as unique and personal as your love for each other! Along with the entire team at the Watering Can Weddings, our designers strive to be leaders in service, quality, and ingenuity, creating floral arrangements that take your breath away! Our goal is to closely work alongside you to make certain your wedding day is highly personalized and every expectation is surpassed. We will not only create perfection on each tabletop, but will create a breathtaking overall ambience throughout the room. Reach out, we would LOVE to hear from you! It’s one thing to have a vision for your big day, and another for someone to capture it and bring it to life!